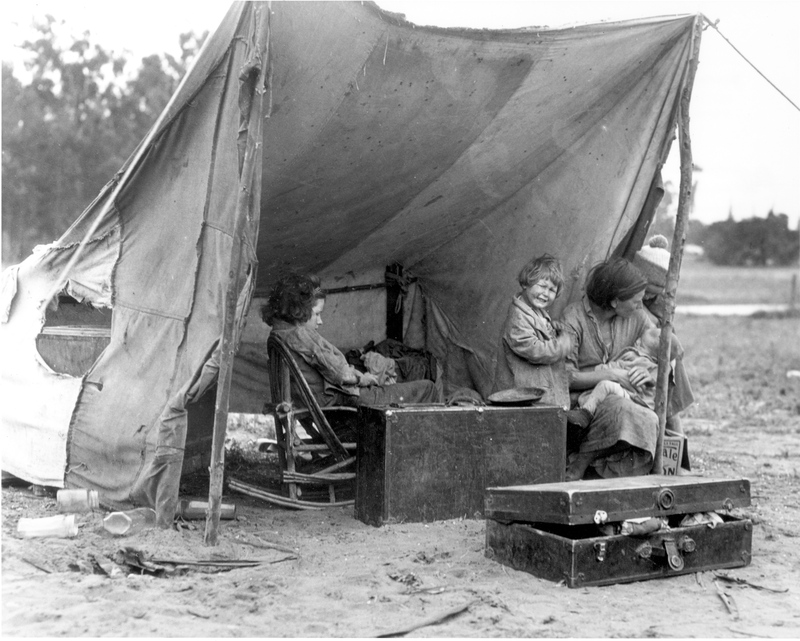 This is a photograph of a migrant farm worker sitting in a pea pickers’ camp with her children. It was difficult for the children of migrant farm workers to attend school because they worked in the fields with their parents, and as soon as the crop was picked they were off to another farm, often times in another part of the state. Children also lacked shoes, clothing, books and transportation, which they needed in order to attend school.